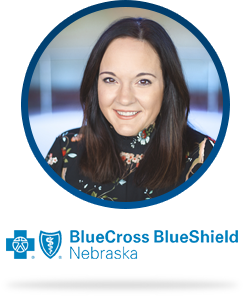 Brooke is director of Customer Experience and Innovation at Blue Cross and Blue Shield of Nebraska. Prior to this role, she was responsible for leading the company’s marketing and digital marketing strategy teams. Brooke has extensive experience in revenue optimization and eCommerce, leading teams at Hilton Worldwide for more than 12 years. She played a key role in the establishment of two departments during her tenure at Hilton, creating social media and reputation management disciplines and launching variety of innovative digital efforts.